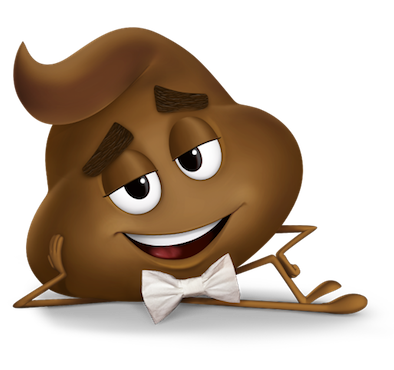 Hi Brain-Gut lovers, and welcome to another edition of ‘I Study Poop – Adventures of Scientists on the Front Line”. This month we are catching up with Caitlin Cowan, my research sister, and a Ph.D. candidate from the University of New South Wales in Australia (my alma mater) who is about to embark on a long career of brain-gut love. Read on for some of her experiences in the microbiome world. Tell us a little about yourself. Who are you? what stage of career are you at? where are you studying/working? Hi everyone! My name is Caitlin Cowan and I’m a PhD candidate at the University of New South Wales in Sydney, Australia with the amazing Prof Rick Richardson. One day soon (early 2017), I’ll be submitting my PhD thesis, which looks at the use of a probiotic treatment to reduce the impact of stressful early life experiences. I’m also a registered psychologist and right now I’m completing my clinical registrar program with the team at the Sydney Child Behaviour Research Clinic. There I do clinical assessments and help provide treatment for families with children with disruptive behaviour disorders. All in all, my research interests lie in understanding the ways that stress can change our development and wellbeing. Even more so, I want to find out how we can reduce any detrimental effects of stress from a wholistic perspective that takes into account psychological, neurological, and gastrointestinal processes. how did you get interested in the brain-gut axis? Actually, the wonderful gut guru behind the Two Brains blog was the person who steered me towards the microbiome. In my honors year she pitched a probiotic-focused project to me and made it sound like the most exciting research that anyone could possibly get involved in. Turns out that she was pretty spot on, because I haven’t looked back since. Just as an aside – Caitlin was the best student anyone could have asked for – so I haven’t looked back either. How long have you been working in the brain-gut field? I can’t really believe this, but it’s been nearly five years now! Tell us about your research! At the moment, I work with young rats that have been exposed to stress really early in their lives. These stressed rats seem to develop faster than their unstressed peers on a range of measures. For example, stressed rats develop much stronger fear memories during infancy (Callaghan & Richardson, 2012). But I’ve shown that probiotics can protect my rats from the effects of stress, not just on their fear memories (now published here) but also on things like their physical development and brain function (publications still to come!). We’ve even found that the effects of stress and probiotics can be passed down the generations (find it here). That means that if a father experienced stress his offspring also had stronger fear memories as infants, but we could rescue normal fear behaviour if we gave probiotics to either the father (when he was an infant) or his offspring. This was a really exciting result and we hope that one day we’ll be able to test the clinical implications of this research for parents and children with stress-based mental health problems or vulnerabilities. Who are some researchers/research papers that you really respect in the field – why? One of my favourite studies is in a 2011 paper by Premsyl Bercik and colleagues from Stephen Collins’ lab. It was one of the first to show that gut bacteria can change anxiety. They took two types of mice with characteristically different behaviour profiles – the shy BALB/c mice and the more outgoing NIH Swiss mice. Not only did these two types of mice have different microbial communities but when the communities were “swapped” (i.e., microbiota from the NIH Swiss mice were transferred to BALB/c mice and vice versa) the behavioral profiles were also partially reversed. In other words, the shy mice became less anxious while the outgoing mice became more anxious! The leader in the field at the moment is John Cryan. He has such a tremendous output of incredibly interesting experiments that are pushing the frontiers in the study of mind-gut interactions. And he’s also the master of the ‘punny’ title – see papers like “Friends with social benefits” and “May the force be with you: The light and dark side of the microbiota-gut-brain axis in neuropsychiatry”. Well, my immediate future is filled with sitting at a desk finishing up my PhD thesis. After that, I’m hoping that I can continue on this amazing journey. So at the moment I’m trying to secure a post-doc position where I can keep wandering down the mind-gut pathway. I’m pretty well known in my lab for looking at all of the weirdest ‘crap’. And not just literal crap, I’ve collected just about every kind of bodily fluid from my rats. There have been many moments where I’ve wondered how I ended up in this situation… I’ve also become the go-to person whenever someone wants to share their poop-related anecdotes. It’s definitely been a lesson in developing my own iron gut for when poop stories come up around the dinner table, but it’s so fascinating how strongly this research resonates with people in their everyday lives. The sheer size of our microbiome is something that always astounds me. It’s so hard to imagine that we are just as bacterial as we are human, but it’s true – when you count up the cells in/on our bodies there’s about 40 trillion of them and 30 trillion of us!